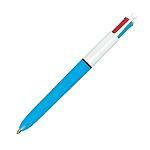 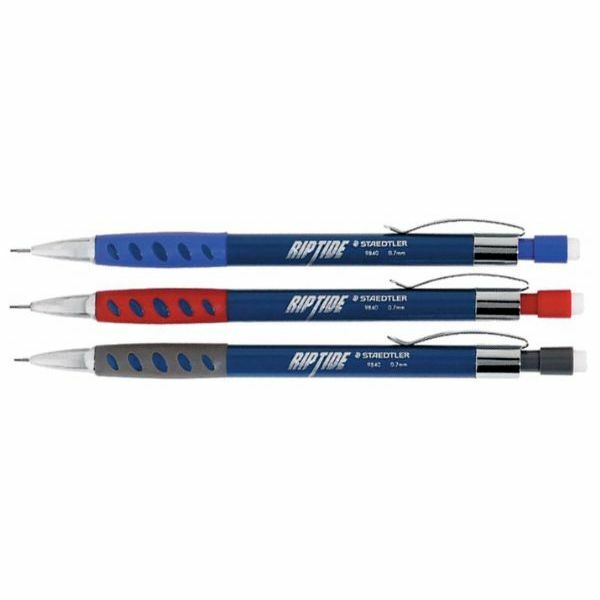 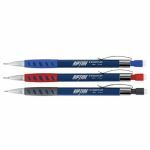 3-pack features assorted color barrels, sliding sleeve pencil with rubberized grip. 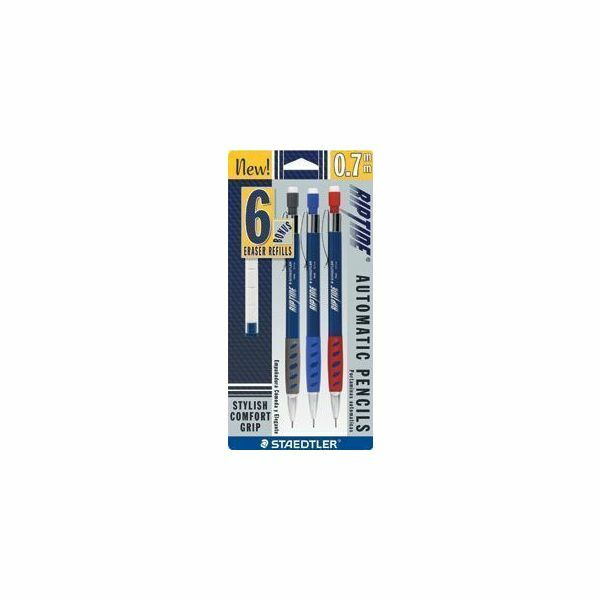 Blister-carded pack includes six eraser refills. 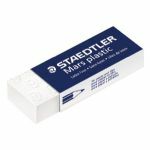 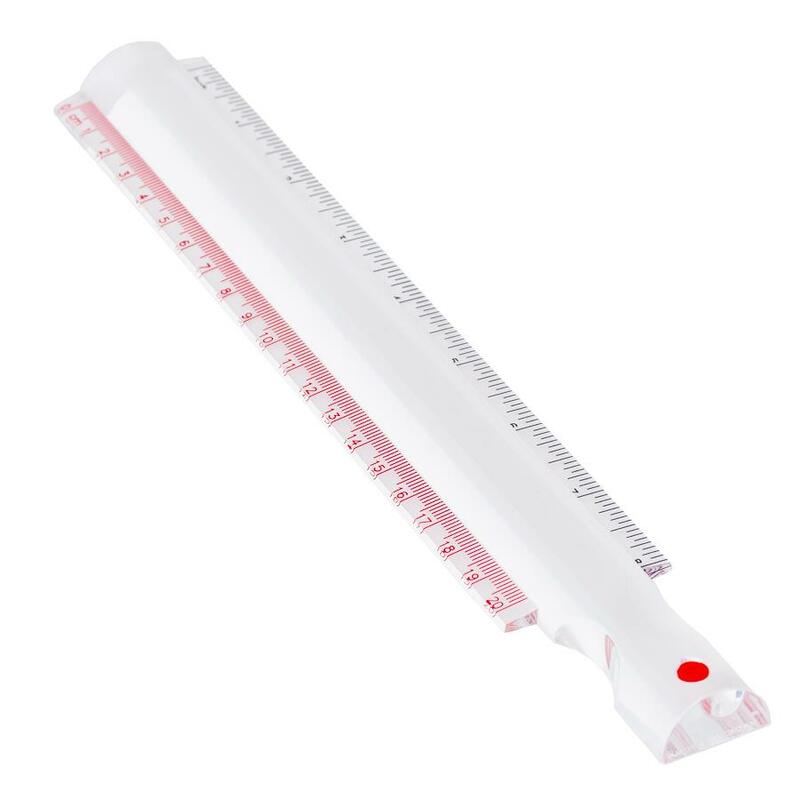 Available in .5mm and .7mm lead sizes.